Pergo XP Southern Grey Oak laminate flooring is a sophisticated rustic oak with fashionable grey and brown tones. The authentic wood qualities, multi-gloss finish and Pergo's technology of registered embossing matches texture with the underlying decorative pattern creating the look and feel of genuine wood floors. This 6-1/8 in. wide product emulates the premium look of single wood planks enhanced by a 4 sided bevel edge. XP products feature premium attached underlayment and PermaMax surface protection for double the wear and double the durability of ordinary laminates. ScratchGuard Advanced provides superior scratch and scuff protection. After all, there's only one Pergo. Pergo XP products are rated AC4, approved for general commercial traffic, yet suitable for your home, and have been tested for resistance to abrasion, impact, staining and cigarette burns. Each plank is 10 mm thick with a 2 mm attached underlayment. The patented click joint makes installation quick and easy, providing a secure fit. The limited lifetime residential and 5-year light commercial warranty, guarantees the top layer against wear through, staining or fading. Wear claim compared to standard AC3 laminate flooring and measured in accordance with NALFA/ANSI LF-01-2011 and/or EN13329:2006+A1:2008. California residents: See proposition 65 information. 16.12 sq. ft. per case. Case quantity: 8. Case weight: 30 lb. 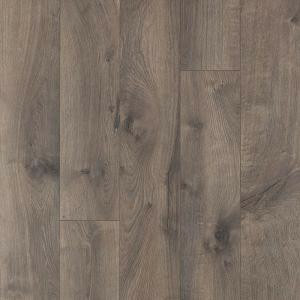 Buy online Pergo XP Southern Grey Oak 10 mm Thick x 6-1/8 in. Wide x 47-1/4 in. Length Laminate Flooring (16.12 sq. ft. / case) LF000786, leave review and share Your friends.